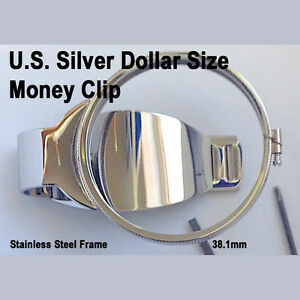 Guaranteed to fit Silver Dollars dated 1878-1978. 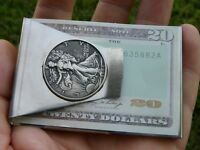 Purchased two, one for each son, for Christmas to hold old silver dollars I’ve saved for 50+ years. Think they’ll each appreciate NICE gift. Very easy to insert coin. 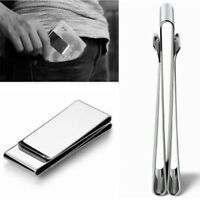 Great quality shiny stainless that will maintain shine with daily use. Thank you. 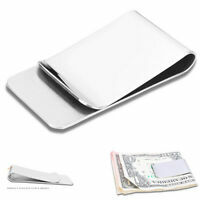 An excellent money clip, the best for holding the Morgan Dollars. 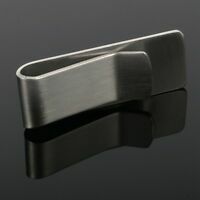 It's well made, but isn't as strong as it should be to hold the bills. 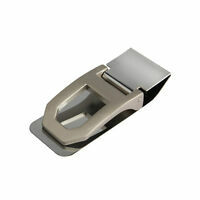 I am keeping the clip mainly because of the caring, professional response from the supplier of the money clip.